Recently I posted photos of this square and noticed from the photo that I’d made a mistake in Row 16 (R16)—the last row. When a mistake is near the end of R16, it’s very easy to fix. First, thread your needle back through the row, eye first, just past the mistake. 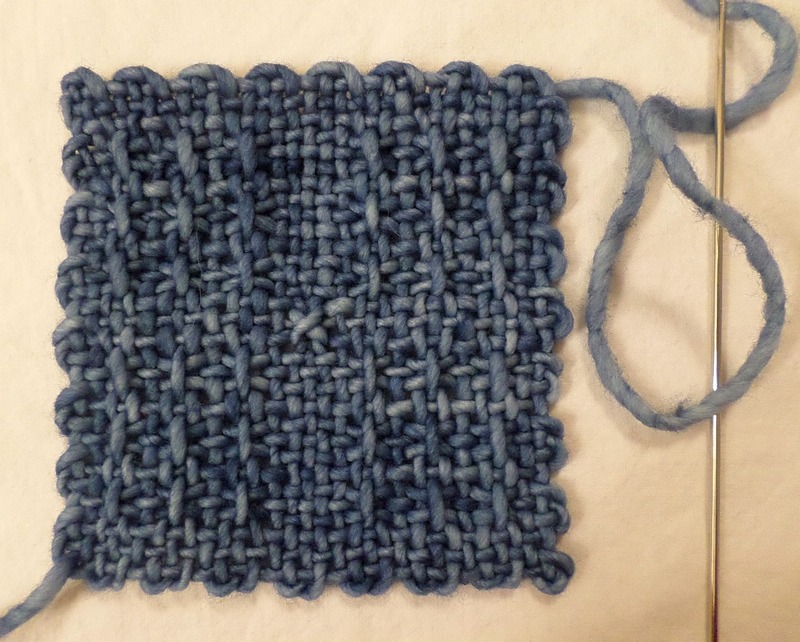 Make sure to follow the correct path the weaving should have taken. Note: because the mistake and its correction were easier for me to see from the back, it’s the side that’s facing up in the photos. Next, pull the yarn tail out of R16; only pull it back to the same spot where your needle is inserted into the work. After you pull it out to that point, thread the needle and re-complete R16 by pulling the needle back through Cr4. If the mistake is in a lower row it may not be feasible to attempt to use this method to correct it. I’ve corrected mistakes in R15 this way, but it required an extra needle. 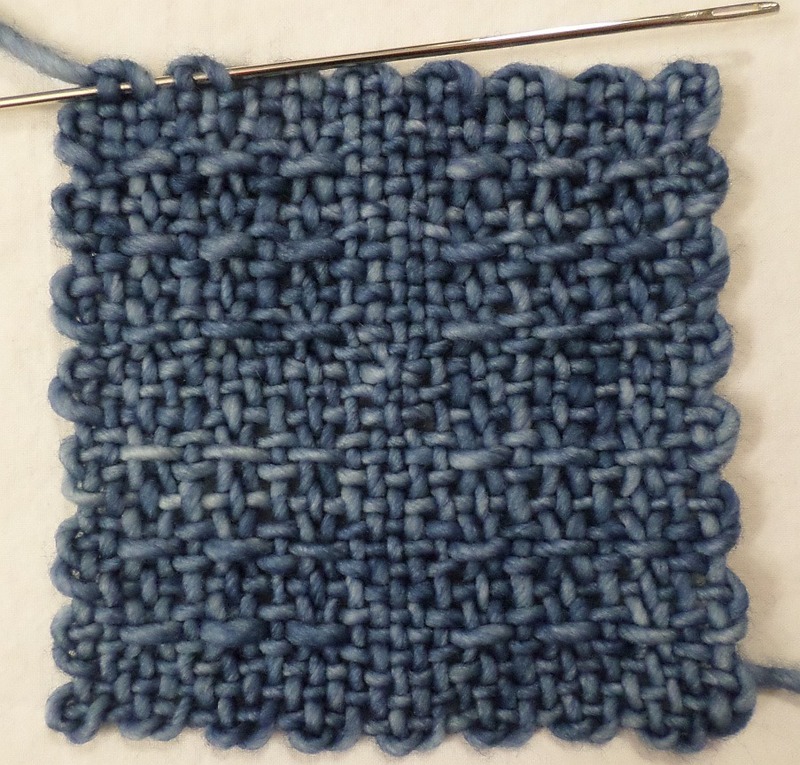 To do that, you’d thread R16 onto one needle (eye toward Cr3), then thread another needle just past the spot that needs correcting on R15—remember to insert the needle eye first and work backward through the row, correcting the weaving path. With two needles in place, pull the weaving tail back to the point of correction, then thread the needle and pull through R15. Unthread that needle and thread the R16 needle; pull through. Enter your email address to subscribe to this blog and receive notifications of new posts by email. Subscribers have access to Print feature (look for printer icon at bottom right of posts).